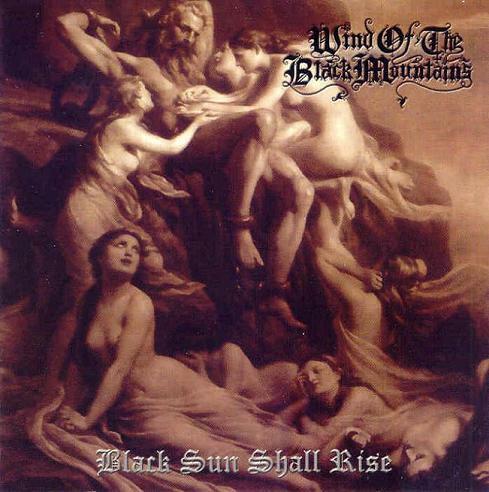 Wind of the Black Mountains was formed on a very dark and cold wintry autumn evening in 1992 by Tchort of Masochist. Due to the fact that he wanted to create sounds that he did not want to do with the other members in Masochist. He recorded an EP 'Forcefed Into Blasphemy' in 1992, which would be released on Moribund Records in 1994, followed by a demo in 1993. Also shot a video for 'The Shadow' which was never released. Masochist would later break up and other members would re-form Summon. WOTBM would become Tchorts full-time project. Not long after, Nybras, of the MI headliners Production Grey, joined as the full time drummer/song writer. 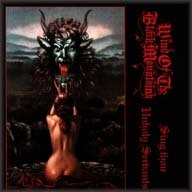 The first album 'Sing Thou Unholy Servants' was recorded in 1996. Tchort and Nybras entered Lau Productions once again to record 'Black Sun Shall Rise', which was released in March of 2002. During that time, WOTBM had added some live members to their ranks including SS Nunrapist (Cemetary Desekrator, Funeral Possession), Lord Nuzzi (Hybernal) and Azazel (Left Hand Trinity). Shortly after the release of Black Sun..., Tchort decided he couldn't go on with music anymore due to other demons he was facing. 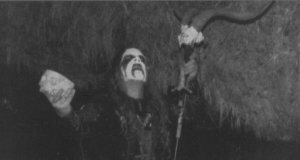 Angzerhornbroals, of the long-time Illinois cult Black Torment, would join the band. In February of 2003 a full LP was supposed to be released on Barbarian Wrath records out of Germany, but delays with Angzerhornbroals studio and problems outside of music for Nybras, caused the album to be delayed to this day. Sadly, in March of 2006, Tchort passed away, leaving Nybras to question whether or not to even continue on with WOTBM. After all of the worldwide support shown about the passing of Tchort and seeing what WOTBM has meant to so many of its fans, the only question left was when to get everything back on track. So, now we come to the fall of 2006, and the new recordings are in in the works and being perfected! WOTBM are working on a mCD for MORIBUND RECORDS tentatively titled 'Summoned By The Shadows', along with a new full-length.